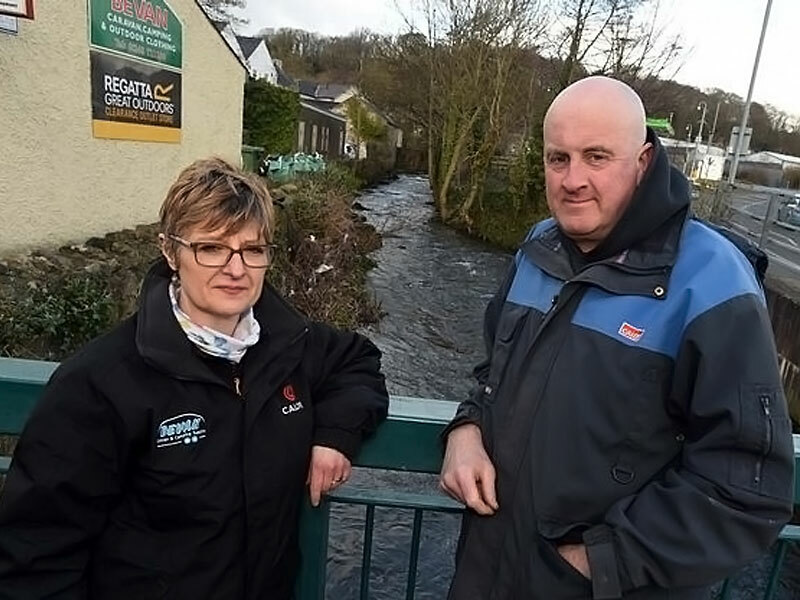 Following catastrophic floods last Winter, businesses in Llangefni are still counting the cost, and business owner Neil Bevan says more needs to be done to help local businesses survive. Neil and his wife, Tracey, have run Bevan Caravan and Camping Supplies since 2011 but he says repeated flooding over the past 5 years has left both the town and his business struggling, even in the Summer months. 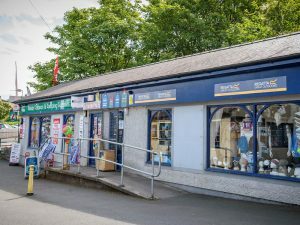 In a statement, the Isle of Anglesey County Council said it empathised with the difficulties facing Bevan Camping Supplies and stressed that they were working in partnership with other stakeholders to improve the town centre. They also confirmed that they would do their best to ensure a strong base of small retail businesses to ensure the future prosperity of the town whilst playing their part in resolving the flooding issue. “Since November 2017, the Highways service has been carrying out works to repair walls upstream of the Pont y Plas bridge, to help contain flood water within the river channel. They also plan to carry out river clearance works beneath Pont y Plas as part of this work. “From September properties at risk of flooding will have the option to receive automated telephone messages of potential high river levels so that action to protect their property can be taken. “We lost over £22,000 of stock due to flood damage last year alone – early warning and throwing us a few sandbags is not a proportionate solution to the scale of the floods we faced last year. Trade is slow now. This will get only worse because those who do come won’t want last season’s stock and we can’t send our summer stock back any more. Many Llangefni traders seem to have given up and are closing early – when you are closed or don’t have the stock holidaymakers want, the visitors soon dry up.